Once again the Chef turns to a traditional Southern favorite in peach cobbler, one of his personal favorite desserts dating back to childhood. Cobbler has a history dating to the European continent, where it was more properly called pie. But European settlers came to the states and – as in many other staples – worked with what fruits and other ingredients nature provided, and developed a different, though similar, dessert. One might assume they called it “cobbler” because they cobbled it together from what was available. Whereas some recipes may call for the cobbler crust to be made essentially from scratch/from Bisquick, and those recipes are fine for many cooks, Rev. Lacy tends to want to do less work wherever possible. For this reason, he prefers to go with a crust that is essentially prepared except for baking, such as prepackaged biscuits or pie crusts. In this case, he suggests a heavily buttered foil (read: disposable) baking pan, covered with prepackaged pie crusts spread to cover the whole bottom of the pan. Preheat the oven to 375 F. He calls the next part of the process “bind-baking,” and it amounts to browning the crust before adding the other ingredients. He works with a base that is (again) a fair bit of butter, some white and brown sugar, and just a little cinnamon and nutmeg to give the proper flavor. This is poured over the pie crusts and spread evenly. The cobbler fruit – perhaps fresh peaches, mostly peeled and sliced (those are so nice and sweet) – but frozen fruit tends to work just as well, and you can buy bags of wonderful frozen peaches, blueberries, strawberries, etc. already sliced. Stir that up into the base and spread in a little cornstarch thoroughly mixed in water. Again, to save work, Rev. Lacy will top the dish with either prepackaged biscuits or pie crusts (here he prefers the latter, cut into lattices), making sure there is plenty of space to allow the fruit to bubble up through the crust. Bake the mixture up for about 20 minutes. The fruit mixture should bubble and the upper crust should brown. Allow to cool prior to serving. 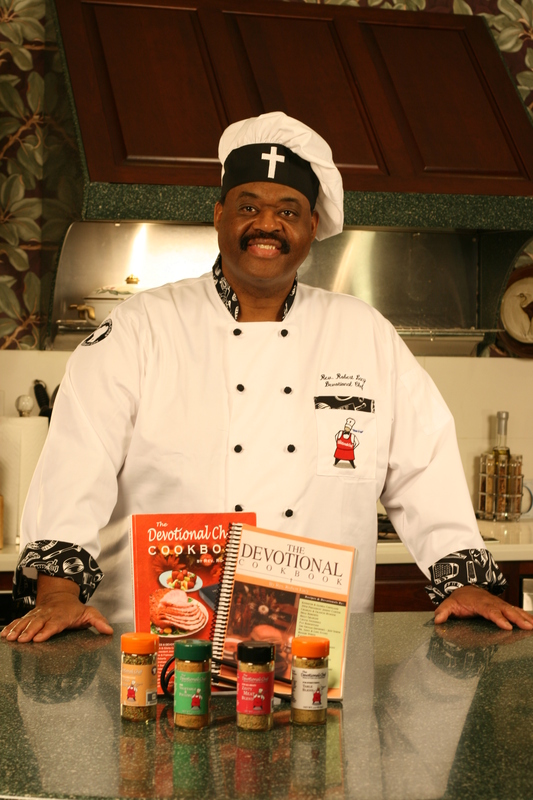 The Chef wants you to know that we welcome prayer requests. If you have a need, whether for yourself, your family, a friend, or even your kitchen, write us. It’s what we’re here for. Make sure to listen to the peach cobbler podcast here! This entry was posted on May 9, 2018 by Dr. Ron Graham in Recipe and tagged dessert.